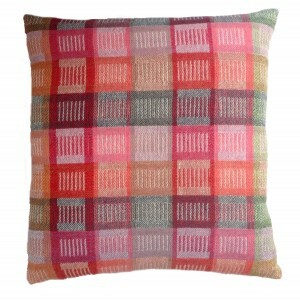 Stylish contemporary cushion in 100% merino wool. 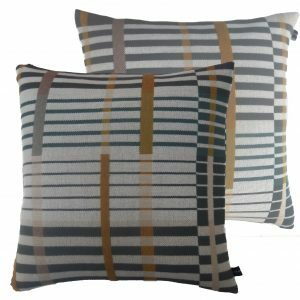 Matching colourway to our Blok No.3 and Optic Stripe No.16 throws. Invisible zip, wool backing in aqua blue-green and feather pad optional. 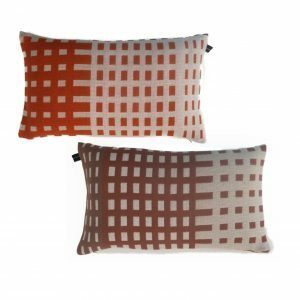 Quality cushions from top quality materials, British design woven in Spain. 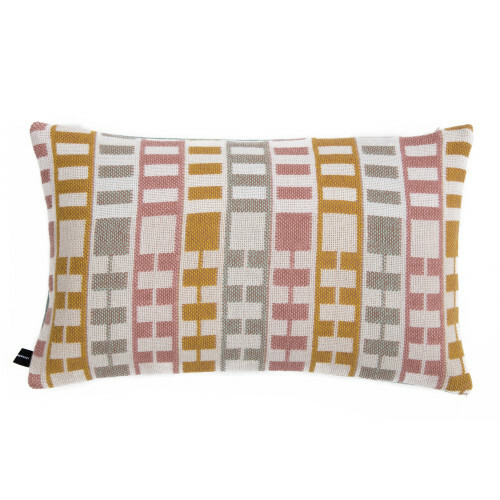 We hand sample designs in the studio before our designs are woven in collaboration in a leading Spanish textile mill. Our Bump, Blok and Optic Stripe cushions complement our Soft Urban throws in the same designs. 100% wool. Duck feather pad. Dry-clean only.